Living Sq. Ft. : 2334 s.f. Total Sq. Ft. : 3071 s.f. 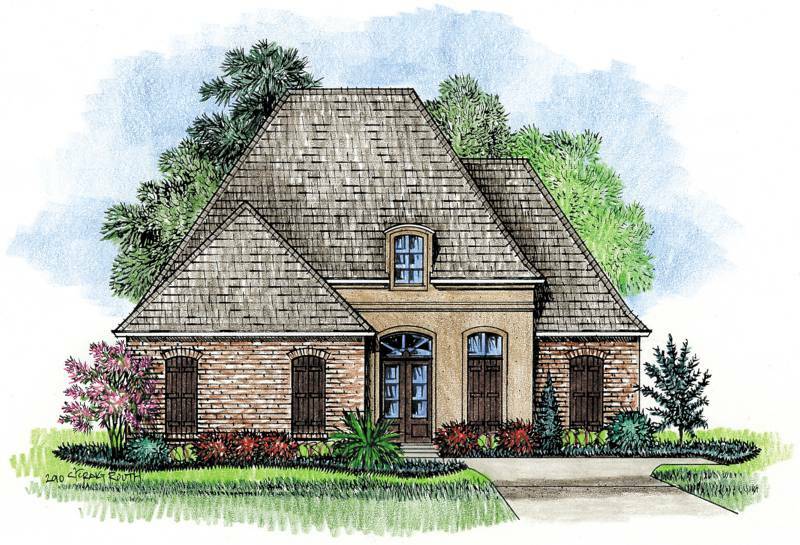 The Prestidge country french house plan is a south Louisiana classic with a beautiful entry door, j-driveway configuration, and single dormer. 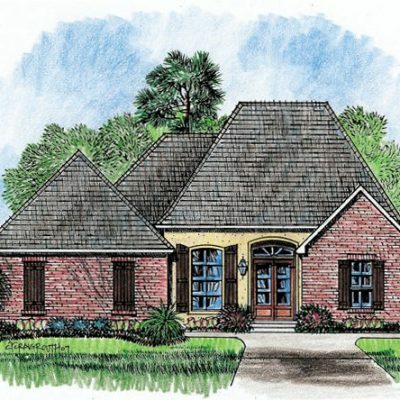 A great sized home plan at 2334 heated square feet with 4 bedrooms and 2.5 baths. 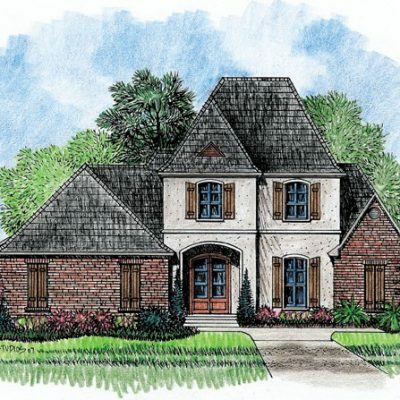 Walking into the home, you enter into a classic foyer that is accented by the angled stairs to the second floor. 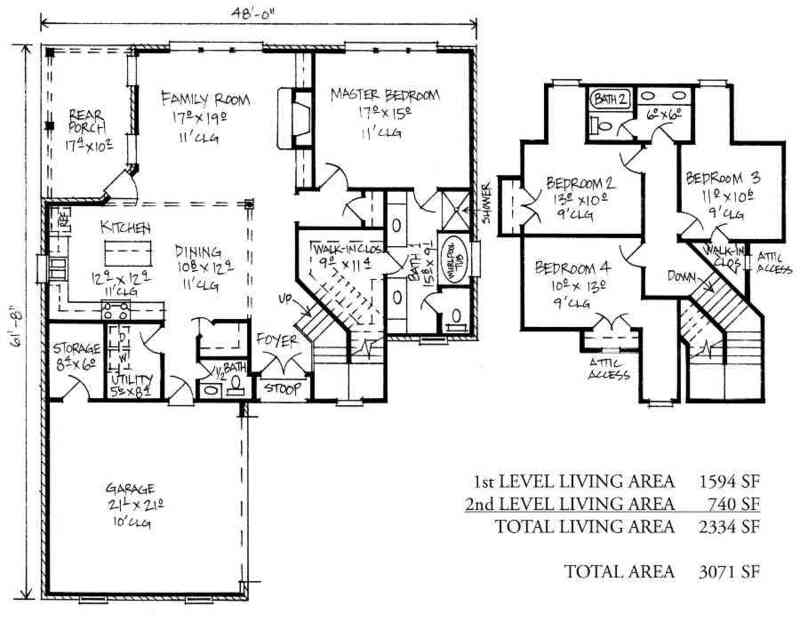 From there, you will walk to your left and enter the dining area that leads to the kitchen. 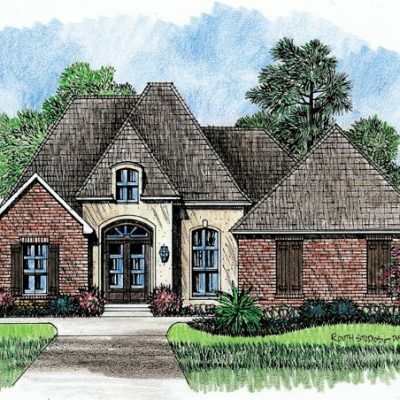 In the kitchen, you will find a generous island with bar, and it partially overlooks the huge 17’ x 19’ family room. Your TV will be right at home over your fireplace in the dining room that is bordered by 2 built-ins. 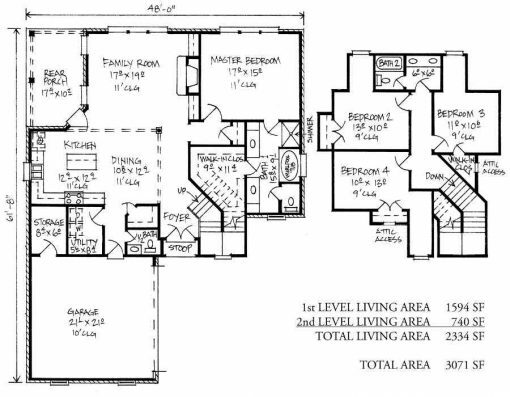 From the family room, you can access the aster bedroom and master bath that are both massive with a great-sized walk in closest. Up the stairs, you will find the other 3 bedrooms, two of which overlook the rear of the property and one our the front, the stair configuration in this home is unique and a great use of space. In the upper bath, there are two sinks with a separated toilet and bathing area. 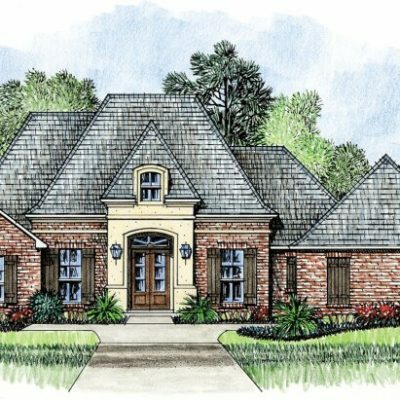 Rounding out this beautiful country french home plan is a rear porch and 2 car garage with storage area.